Polar ice cap has been steadily growing for decades. "The North Polar ice cap is falling off a cliff," Gore said in 2007 when he was accepting the Nobel Peace Prize for his climate change efforts. "It could be completely gone in summer in as little as seven years. Seven years from now." But, the Mail reports, the ice cap has actually expanded by between 43 and 63 percent. An area the size of Alaska that was navigable water two years ago now is covered by ice. The Southern Hemisphere polar ice cap for the month of April 2014 surpassed its greatest April extent in recorded history. The new record extends a long-term expansion of the Antarctic ice sheet that defies alarmist claims that global warming is or should be melting the polar ice caps. Satellite instruments measuring the precise extent of the Southern Hemisphere polar ice cap report the polar ice cap has been steadily growing for decades. Moreover, the combined extent of the Northern Hemisphere and Southern Hemisphere polar ice caps have been above the long-term average almost uniformly since 2012. Vatican City - "Pray for me": François asked Thursday on Twitter Catholics to help through prayer, after a year of pontificate showered with praise, despite some criticism of its discretion in the fight against pedophilia. 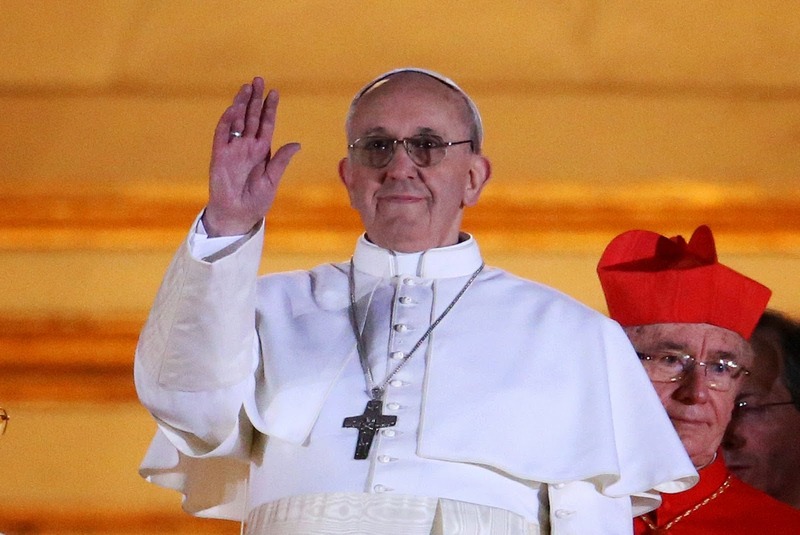 Already, 17 March 2013, the first tweet the first pope in history Argentine asked the faithful to pray for him in his difficult task of the head of a Church 1, 2 billion baptized. In retreat, Francis spent the first anniversary in the Roman Campagna, with the cardinals of the Curia away from tensions aroused by his reforms in the Vatican. "The pope wanted to do nothing different from other days," said AFP spokesman, Father Federico Lombardi, noting that he had "requested". Pictures have shown seated on a bench in a small chapel, dressed in white, in the middle of the prelates in sober black outfit. Never has a leader of the Roman Catholic Church become as popular in as short a time as Pope Francis did when he humbly asked the crowd gathered in St Peter's Square on March 13 last year to pray for him. A year on, Francis, known for his gentle smile and infectious energy, has won over hearts worldwide. Admirers from Manila to Mexico fondly remember his first appearance on the balcony in the Vatican when he began with the simple greeting, "Good evening." First ever Philippine and Haitian Cardinals elected, by Pope Francis. 2013 turned out to be Australia’s hottest year on record. Fittingly, the calendar year both started and ended with intense heat waves. The most recent heat wave peaked between December 27, 2013, and January 4, 2014. It was much shorter than the one that began 2013, though it was more intense. Nearly 9 percent of Australia’s cities and towns experienced record-breaking temperatures between January 1–4, 2014. The heat baked the earth, raising land surface temperatures (LSTs) that are monitored by the Moderate Resolution Imaging Spectroradiometer (MODIS) on NASA’s Terra satellite. 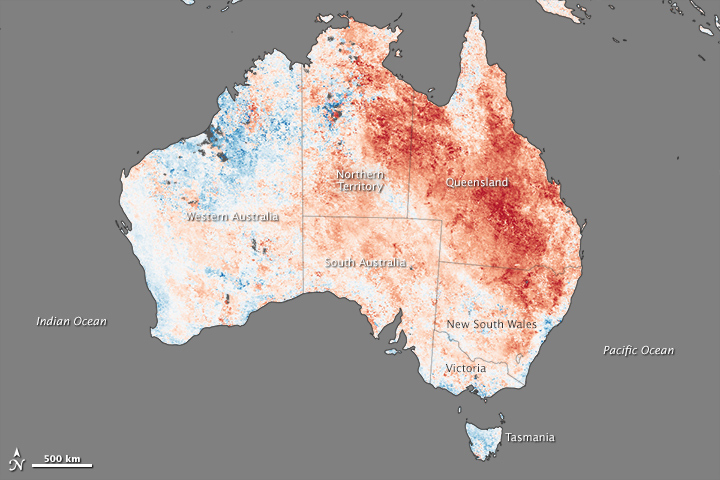 Dark red dominates this image, indicating temperatures that were significantly higher than average between December 27 and January 3, especially in Queensland and New South Wales. LSTs reflect how warm the ground would be to the touch, a measurement related to but not the same as air temperatures. Satanists are planning to erect a statue of the Devil at the Oklahoma state Capitol. The Satanic Temple, based in New York City, released its design Monday for a monument depicting children standing beside a horn-headed Satan at his throne. The New York-based Satanic Temple wants to place Lucifer in the same spot of the building where a replica of the Ten Commandments was placed in 2012. A satanic group unveiled designs Monday for a 7-foot-tall statue of Satan it wants to put at the Oklahoma state Capitol, where a Ten Commandments monument was placed in 2012. The U.S. side of the Niagara Falls on Jan. 8, 2014. The polar vortex that has gripped the U.S. and Canada this week has led to some spectacular icy images. 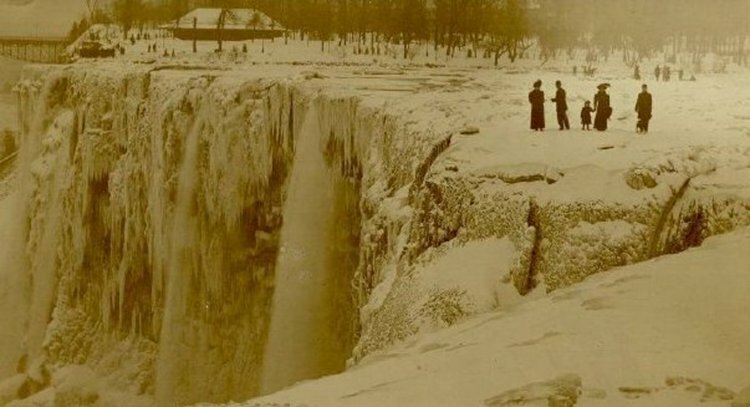 The latest come from Niagara Falls, which partially froze Tuesday when the temperature hit a record low of minus 2 degrees.